The new European season is almost upon us and while the Top 14 enjoys a torrent of cash coming in from a brand new TV deal and the Aviva Premiership is being beamed across the channel to American televisions, the Guinness Pro 12 will be chugging along as usual, unchanged and unimproved from an outsider’s point of view. But all is not what it seems in the Pro 12 and despite below par performances in Europe there are some new and interesting rumblings going on within the league itself. Connacht winning the competition last season was the final confirmation that the Pro 12 is finally getting competitive as well as entertaining and so this coming season will be the first in a while where many fans believe anything could happen. So let’s have a look at the teams that will be fighting for the top four positions for the next eight months. General Thoughts: Treviso have struggled ever since they joined what used to be the Celtic League, generally considered a good source of bonus points and an opportunity to get a good points difference. However over recent years they have turned their home ground into a difficult place to go and win, games there rarely end up being one sided and while they rarely win, they’re capable of giving even the best teams a good scare. With new coach Kieran Crowley and some smart summer signings, you can expect Treviso to pull off more than a few upsets this season. General Thoughts: Cardiff have not had a fun few years, ever since long running head coach Dai Young crossed the bridge and went to Wasps, they have been sat at the bottom of the Pro 12. That was until last season when Danny Wilson came on board and despite a shaky start to the season, Cardiff became the 2nd highest try scoring team in the league and had a strong finish to the year, eventually finishing 7th. The combination of a new brand of attacking rugby, a purge of 3rd string players taking up precious squad space and some very exciting signings means that many Cardiff fans expect a top 6 finish meaning guaranteed top tier European Rugby next season. 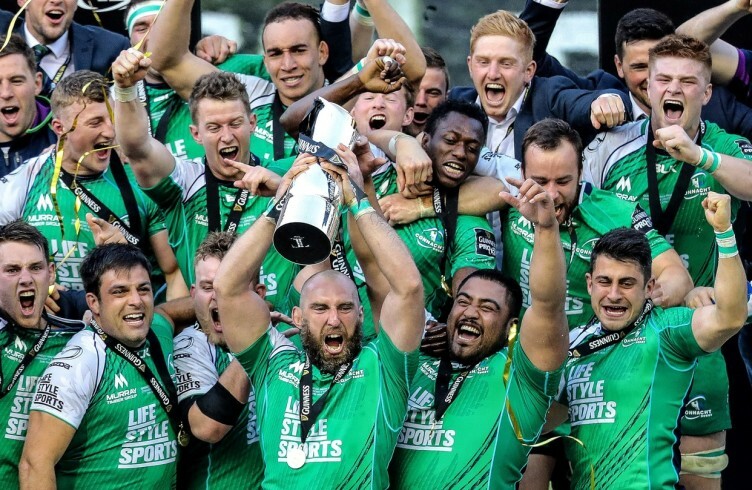 General Thoughts: Connacht are the current Pro 12 champions and deserved ones at that, they spent last season playing a very attractive and effective attacking style of Rugby and scored many entertaining tries. This season however they have lost a number of players that helped them to the title last season like Robbie Henshaw, Aly Muldowny and AJ MacGinty. Then again if any team can fight through adversity and win a second title, it’s Connacht. General Thoughts: For years Edinburgh have been the ultimate lower-mid table team in the Pro 12. Things are looking up though, winners of the 1872 cup for two seasons in a row and a recent European Challenge Cup final has pushed Edinburgh just that little bit further towards being a big name in the league. General Thoughts: Glasgow are one of the big boys of the league, notoriously difficult to beat at home and have one of the most impressive backlines in the Pro 12. Despite losing Olympic Gold Medal winning lock Leone Nakarawa to French club Racing 92, they still have a decent pack too. As if it wasn’t hard enough to get a win in Scotstoun already, they have installed an artificial pitch which will no doubt give their attack an advantage over other teams. You’d have to say Glasgow are going to end another season in the top four. General Thoughts: Leinster have taken a little bit of a dip since their head coach Joe Schmidt left to coach Ireland a few years ago but if last season is anything to go by then things are looking up. After not even making the top four in 2015, Leinster found themselves in the final yet again in 2016. There was no doubt that they were outclassed in the final by their fellow Irishmen from the west but there were hints of the return of Leinstertainment. Undoubtedly they should be considered favourites for the final yet again this season. General Thoughts: Munster are no longer the European Champions of old, coming 6th in the most recent season of the Pro 12 after a run of some disappointing performances. There’s no doubting they have the talent, the side is full of Irish internationals and some overseas firepower, this is why a lot of Munster fans have been calling the coaching structure into doubt. Whether that is the reason or not, they’ll need to find out what’s wrong quickly if they want to reclaim the Munster name as champions instead of a mid table team. General Thoughts: Dragons have traditionally been the weakest of the Welsh regions since the beginning yet in recent seasons they’ve shown glimpses of greatness. In the European Challenge Cup they have been fairly successful and put in some brilliant performances and they can come up with some good back play on their day. It’s easy to brush them aside as a quick win in the league but one day, perhaps sooner than many believe, they will surprise everyone. General Thoughts: Like Munster, it looks like Ospreys’ glory days are far behind them. Four-time Pro 12 champions, Ospreys haven’t reached a final since their last win in 2012. Last season they finished 8th in the league, almost unheard of for a team of their quality and history. With an incredible powerful forward pack and some exciting new backs coming through the system, Ospreys should do fairly well this season, whether they will or not is another thing. General Thoughts: Scarlets just had one of their best seasons for a long time, only just missing out on a play off space due to an end of season run of poor form. Not that you can blame them, they were decimated by injuries from the start and had overachieved to get where they did in the league. Playing a very open style of Rugby, their new signings are perfect for the kind of game that the Scarlets like to play. It also helps that they have a returning silver medal Olympian in James Davies to help them toward the title. General Comments: I believe Ulster are one of the most entertaining teams in the league, even if they do not often win silverware. They’re tough to beat, especially in their fortress of Kingspan Stadium (Formerly known as Ravenhill) and love to attack. They can produce one hell of a highlight reel but unfortunately lag behind in terms of meaningful wins. Lack of success in the league and in Europe despite some brilliant performances would point towards them winning a big title sooner than later. General Thoughts: You have to feel a little bit sorry for Zebre, dragged into the Pro 12 after the failing of Aironi they went years without getting even a win. However when they got their first, more started coming, although at a slow rate. It’s now fair to say they’re on equal footing with their Italian rivals Treviso. They even managed to qualify for the Champions Cup on Italian merit. I can’t see them getting above 11th in the league this season but you’d hope in a few years if the present run of improvement continues, they can challenge some of the mid table teams. To wrap this up I thought it would be fun to do a little prediction of the table this season, something I don’t normally like to do because of how changeable the Pro 12 has became but, eh, why not? Got your own predictions? Think I’m an idiot? Let us know in the comments.